Whatever business you’re in – whether it’s manufacturing, accounting, consulting, real estate, sports management, or even marketing – there is something that anyone who runs a business unequivocally needs: organization. Businesses that attempt to function without organization end up running into a multitude of problems at some point in their development, which can include issues such as poor task management, missed deadlines, increased costs, or loss of an overall company vision. In an effort to stay organized at VIB, we use a variety of tools in our marketing stack to effectively facilitate information, which keeps our global team focused, on task, and meeting deadlines. However, even if you are not a marketing company with an agile team, having a reliable project manager who can research and build your own processes can do wonders to grow and improve your business. 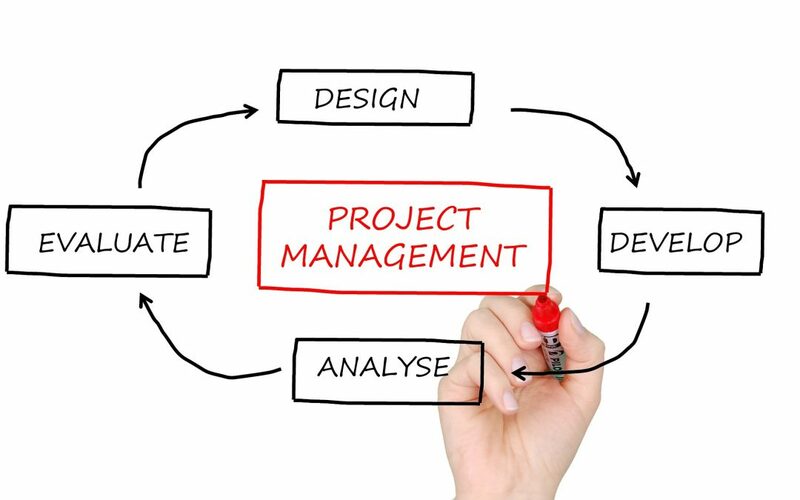 An effective project manager helps to ensure that the iron triangle (delivering on time, budget, and scope) of project management is met throughout the business, but a great project manager goes above and beyond by helping to facilitate a great relationship between their business, employees, and clients. They accomplish these great relationships through a variety of developed skill sets that can only be learned through experience on the job and an inherent skill of understanding people. 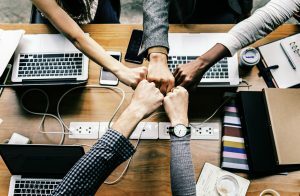 Throughout our time managing clients in a vast array of industries, we have found the following skill sets and supplemental technology critical to maintaining organization and excellent project management. 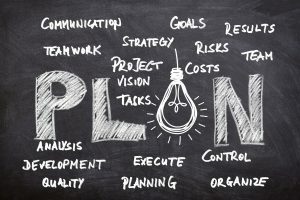 After speaking with the client your business will be providing services for, a good project manager must be able to communicate the strategy and intended vision for the project to their team (and ideally create a write-up for future reference.) At VIB, to ensure our final project exceeds the expectations of our clients, we like to begin new relationships by introducing the project and presenting the notes taken by our project manager at our weekly team meeting on Google Hangouts. The project manager then creates a folder on Google Docs, where a summary of the expectations is placed along with other relevant documents and media for the project. We prefer using Google products, such as Hangouts or Docs, due to the organizational benefit that their interconnected applications offer. The project manager must introduce clear and realistic objectives, which requires them to research the client and thoroughly understand the required processes associated with the business’ product or service. This research will help to assign deadlines for your various tasks and set a standard of expectations when auditing work. While it might seem a bit obvious, an excellent product manager must also be extremely familiar with their team’s strengths and weaknesses. One service we use at VIB that is transferable to teams in almost any industry is Asana, a management software that allows you to map out each step of your project and organize all the details in one place. Ideally, as your project progresses, everyone will stay on task, know exactly the job required of them, and complete it to the exact expectations of the client. However, in the real-world, projects that run completely smoothly are incredibly rare, so it is important for the project manager to have excellent communication with their team throughout the process. They need to constantly check in to see project status and performance, and identify areas that need to be improved in order to meet the vision of the project. Great problem-solving skills are a fundamental necessity when attempting to handle issues that arise, because every project is different and the solutions that are required may differ as well. The best application that we have found for facilitating clear communication between our team is Slack. 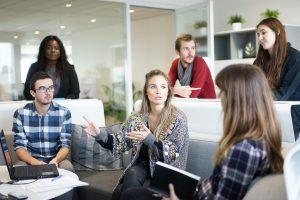 Besides standard person-to-person communication, users are also able to create channels to keep discussions on specific projects organized in a specific place. Excellent communication doesn’t end within your business. Throughout the entire process, your client needs to be kept aware of the work being done on their project, so that the final iteration is not a surprise. As previously stated, this process starts with building a vision for the project with your client and then continues with constant updates on the progress of tasks on a macro level. It is also incredibly important to explain your customer the risks associated with the product or services being performed. A tremendous project manager then works with their team to mitigate the risks and create the best product or perform the best service possible. At VIB, we use a variety of communication tools depending on the preference of our clients (typically just standard email), to ensure they never feel in the dark on the progress of their project. The aforementioned Asana application offers an incredibly useful feature that allows team members to comment or request help when needed, providing a valuable method for the project manager to solve problems as they arise in real-time. Ensuring your team is using the best tools to complete their job is also critically important for efficiency and quality. Technology is constantly improving and evolving, so staying aware of new trends taking place in your industry will enhance the results of your company. Project managers are also the bridge between technical workers, creative thinkers, and clients. They need to be able to thoroughly grasp technical language and translate it into concepts that everyone can understand. Some great places to keep track of new technological trends in your industry include: relevant industry blogs, forums with industry members (Reddit is a great place to start), podcasts from respected industry leaders, or conferences held by influencers in your respective industry. Finding someone to perform these processes to the best of their ability, or performing them yourself, will lead to improved organization throughout your business and in turn better profits. Instead of worrying about building an organized marketing department that efficiently handles your projects, let VIB take care of your marketing needs. We boast a diverse team with unique experience in a variety of fields, ensuring our services exceed customer expectations. Call or email us today to speak with a knowledgeable member of our staff about how we can help to improve your Very Important Business. Be sure to also follow us on Facebook, Twitter, Linkedin, or Google+ to receive more tips on how to improve your business.